Happy mid-week, are you ready to check out a great new collection? The Dermelect Completely Classic Collection is brand new and offers six shades for fall 2017. This is probably one of my favorite collections of theirs in awhile. I really love and will wear nearly every shade here, and it screams autumn to me. The formula was excellent with all of these. They were all two coats and a couple could almost be just one. I had no problems with any of the formulas at all. 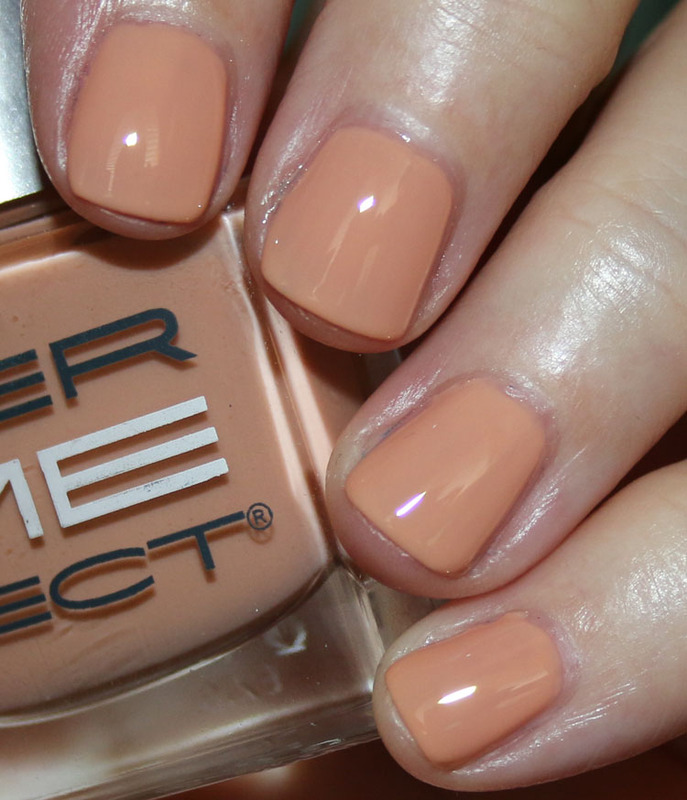 Debonnaire is a peachy tan creme. This is two coats. All The Envy is a bright chartreuse creme. This is two coats. 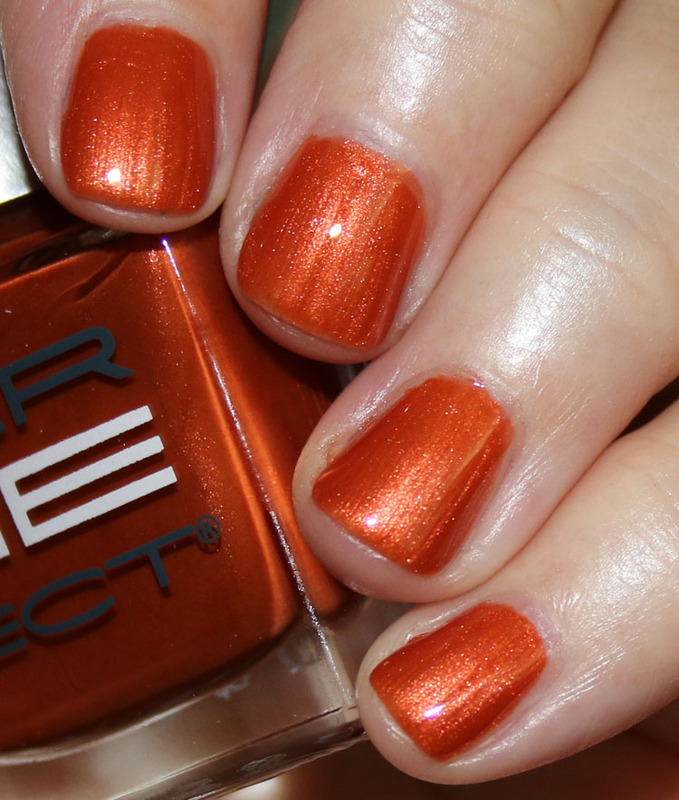 To The Core is a russet orange/copper shimmer. This is two coats. 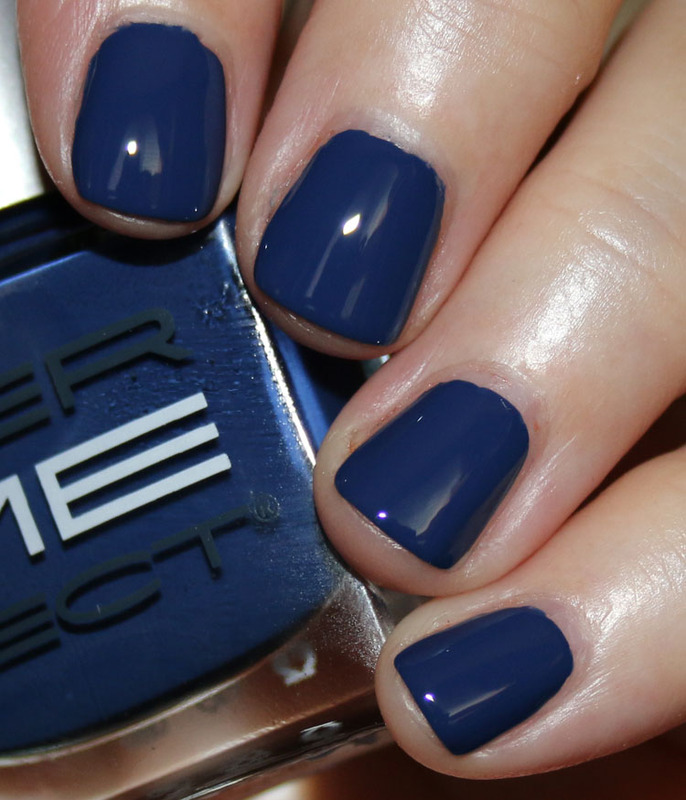 Phenom is a deep blue creme. 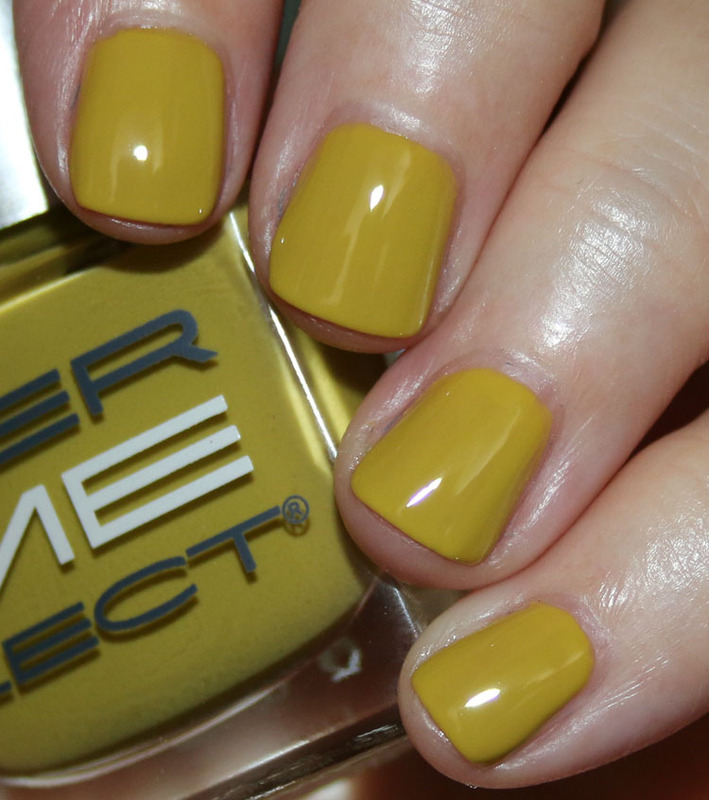 This one could cover in one coat, it’s super pigmented. 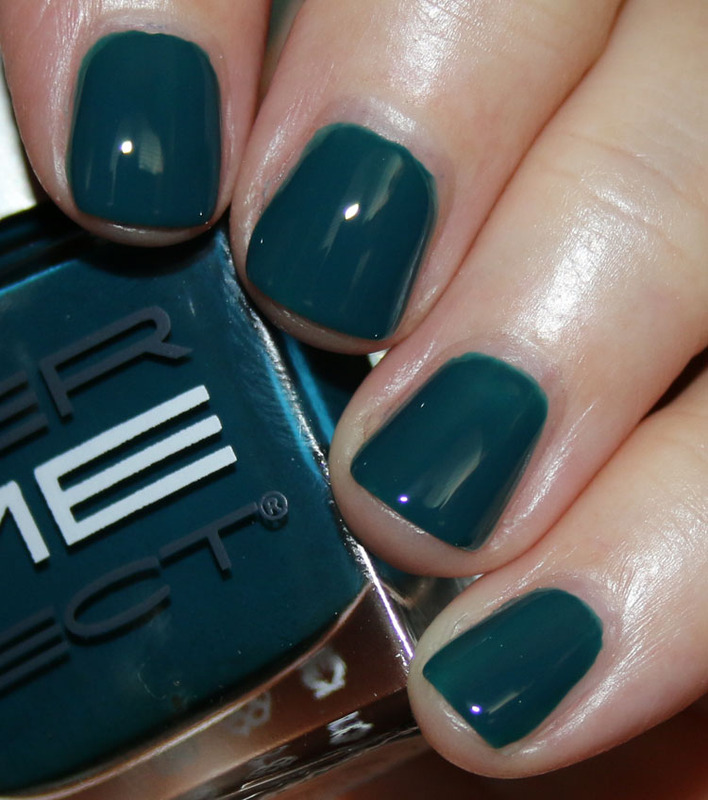 She-She is a deep green-leaning muted teal creme. This is two coats. 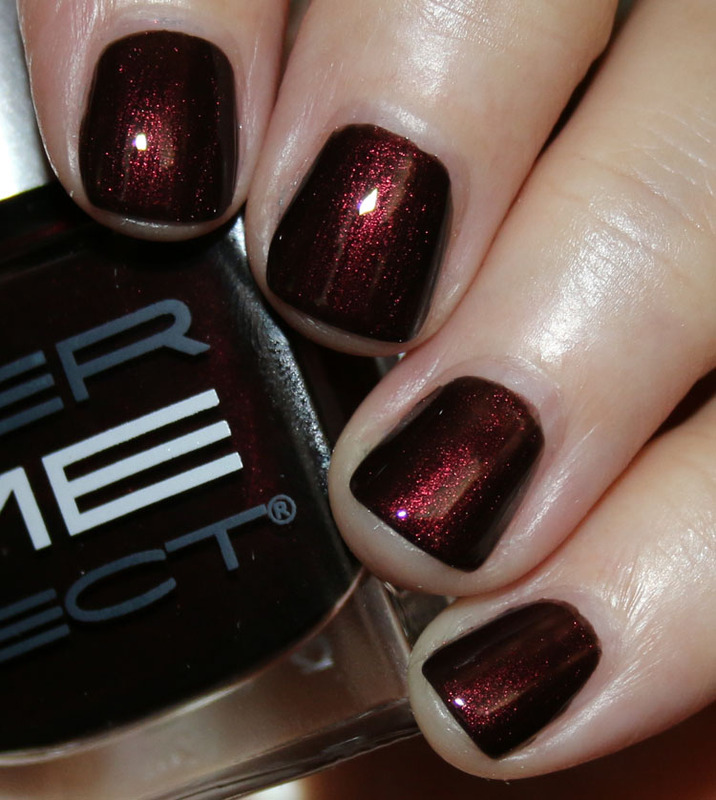 Kiss ‘ME’ is a deep blackened crimson with red shimmer. A beautiful glowing shade and this was two coats. Don’t you think this collection is really great for fall? It just looks SO perfect to me as a whole. I think the only shade I don’t really love is Debonnaire, but that’s just because it’s not my kind of shade. The others are really nice also and I especially am in love with All The Envy and Kiss ‘Me’. 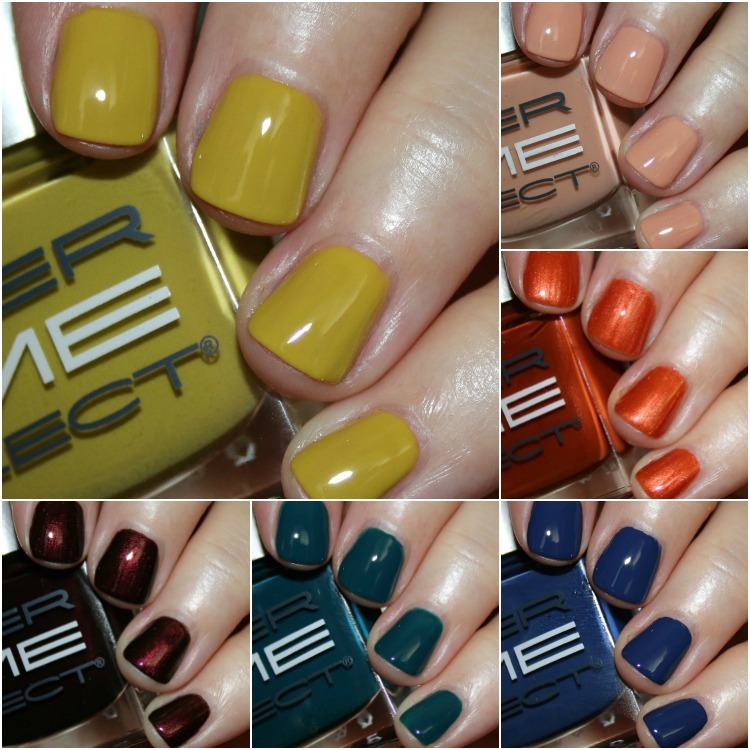 You can find the Dermelect Completely Classic Collection on their site now and they are $14.00 each or $39.00 for the collection. Which colors here have you wishing for crisp fall air? All the Envy caught my eye first! The chartreuse color is fave. I love “phenom” that gorgeous blue crème is taking my breath away, as well as “She-she” that beautiful green teal crème. My other favorite is “Kiss Me” one that I need that amazing crimson red crème. Beautiful collection overall. Ooo! Pretty! I think this is the first time I’ve been really interested in a Dermelect collection. 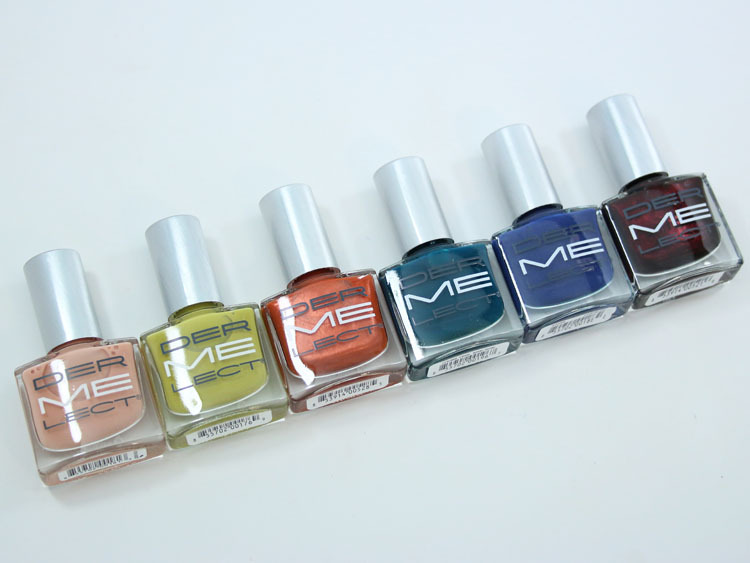 To The Core is my fave, but I would wear all the last 4 colors. I also love the weird yellow and the deep crimson. I’m so glad you swatched these. My Ulta doesn’t always get the new collections of this brand but now I know to look for it online or at other Ultas. Is the formula on the thin side, love All the Envy but I can see the nail bed? It is thin but remember, these photos are super zoomed in, so unless you are really that close to it, you can’t see the nail bed at all.